I was listening to this podcast this morning - Marc Andreessen of Andreessen Horowitz interviewed about the future. It's a brilliant listen - Andreessen is very smart, and very well-read - at one point citing CP Snow - and ably defending the tech industry, Silicon Valley, and engineering as a way to make our futures better. At the end the interviewer asked if he thought his kids would learn to drive. Well he though, this six year old probably would, but his two year old. I completely see why, with his inside knowledge on the development of self-driving cars, he might say this, but I think he's missing some vital points. First, it will make a big difference whether you live in an urban or rural place. I think driving will be essential in rural areas for a long time to come. Second, for everyday getting around you may not need a car, but what about for holidays, trips etc. I don't own a car - I live in Zone 2 in London, 3 minutes from a tube station - but I rent a car every year to go on a walking holiday. Third, it doesn't matter if it's essential, you might just enjoy it. No one needs to learn to cook these days - there is ready to eat food in every shop, takeaway options, delivery and so on. But some people like cooking. "The problem with Airbnb is that you're reliant on someone else's definition of a comfortable bed." & that's the problem with Airbnb. As much as I love it, there are often a few 'quirky' things about the places you stay; things that you don't want to write in the comments because it would be churlish, but you would mention to friends who were looking to stay there. This is essentially the service The Plum Guide performs. It finds the best of the properties on Airbnb and other rental sites, using 100 criteria to make sure that everything works, everything is clean and so on, and then offers you just these. Yes, it's more expensive, but you get what you pay for. Some of the properties look both stunning and interesting - have a look at Hackney for example. I can imagine a similar 'luxury layer' on other parts of the sharing economy, and other parts of the DIY online experience. Uber started off as the luxury layer with town cars, and went mass market, but there could be a business curating the best of other services. For example Groupon was killed by flakey spas etc, who could not be checked by Groupon, but how about a luxury version that only offered the good stuff? Or a luxury 'ZipCar' car-sharing scheme? 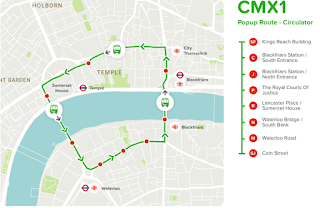 CityMapper, the app that helps me get around London, is launching an experimental bus service for London, in conjunction with Transport for London (TfL). It's a two day experiment, travelling in a loop between the City and Waterloo - see map - and while I won't be able to try it, I'm fascinated by it. (It's also part of this new part of the 'online to offline' trend that has seen Deliveroo open commercial kitchens, Uber buy parking spaces, and of course online and app brands like Snapchat produce hardware). It's based on data that they receive, and according to their blog post, they've noticed that current routes don't best serve how people want to travel. (Remember this story from 2013, where mobile phone data led to a re-design of bus routes in the Ivory Coast). 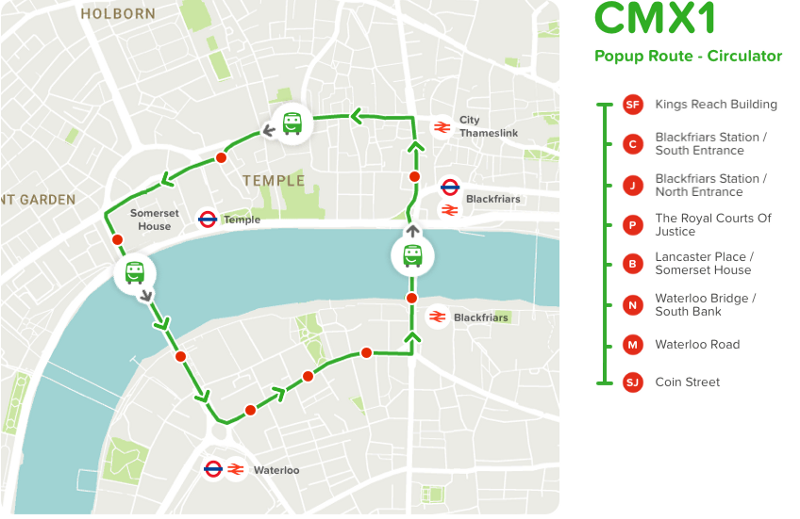 CityMapper must have so much data on how their users travel, and could add real value here - their trial route is a new route, (Possible caveat - it's not clear that CityMapper users are representative of the whole London travelling population). It's going to be fascinating to see how this develops. I'm also very impressed that TfL is open to new ideas.